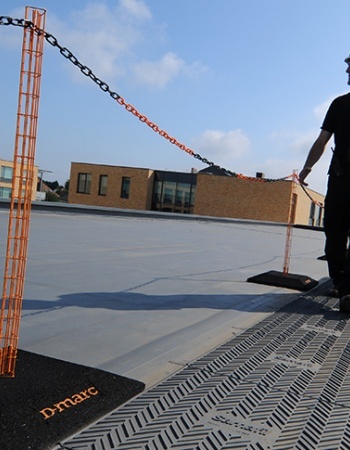 The D-marc™ 105 Roof Demarcation Barrier system is a Collective Protection demaraction barrier system for flat roof applications designed to prevent access to hazards during regular roof top maintenance. The D-i.D.™ tag system is an Identification tag holder & insert for the marking / tagging of items which require regular compliance testing & identification. The tag holder is designed to encapsulate the tag insert & protect it from the weathers ensuring that the testing information shown is always visible & tamper proof.